Ever get the feeling you're stuck in an endless loop that recycles your life's events over and over, only it all plays a little differently each time? You're in good company. 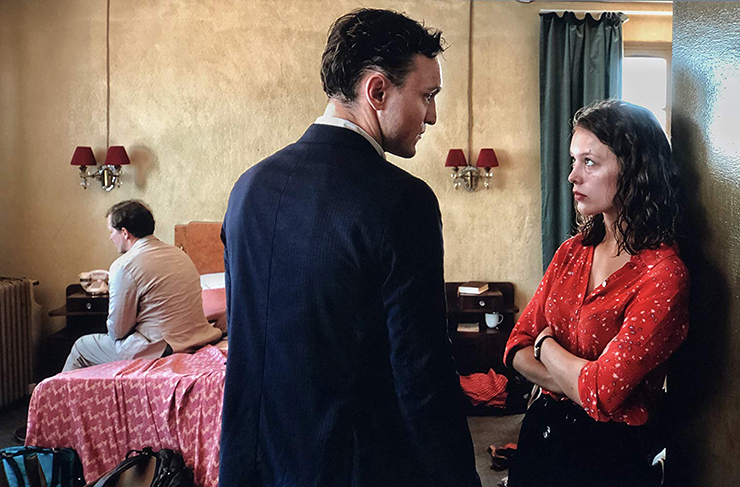 “Transit,” the new film from German auteur Christian Petzold, might at times resemble the kind of wartime dramas that aim to capture “Casablanca's” timeless lightning-in-a-bottle appeal, but it ends up being a much different kind of animal, one that fascinates as often as it confounds. But power through those frustrations, because the film, one of two war-themed romances currently playing in theaters, offers ample existential rewards. Its title refers to the letters that enabled displaced persons flee the regimes that would persecute them during World War II, but it is also an ironic counterpoint for the characters' inability to escape their precarious circumstances. Based on Anna Seghers' 1944 novel, Petzold appears to promise the romantic angst that propelled his previous effort, the bracingly executed “Phoenix.” And so onward with the impeccable production design and attention to period detail, right? Not quite. I have some bad news for viewers expecting “Son of Phoenix.” The attention to capturing the crumbling landscapes of 1940s Europe is MIA in “Transit.” In its place is a postmodern mishmash that blends a narrative that resembles a WWII yarn with contemporary sights and sounds as its backdrop. In this place that feels like the mid-'40s in spirit but looks and sounds like the late 2010s, wartime intrigue plays out to the sounds of hovering helicopters and the ubiquitous threat from soldiers dressed in present-day tactical gear. It would be advisable not to get too attached to this storyline's nuts and bolts, because they shift around to the extent that one starts feeling like wading through quicksand. At the center of this ethereal miasma is Georg (Franz Rogowski), a refugee who appears to be a part of the resistance movement, though Petzold doesn't quite spell that out for us. The story kicks into gear, or so it seems, when he's entrusted to deliver important letters to a writer in Marseille, a city which, despite the modern-day face-lift, is very much depicted as a debarkation point for refugees seeking a ticket to freedom. Once he arrives, Georg discovers the author has taken his own life. Shortly after, he is mistaken for the late scribe at the Mexican consulate, and when he is given the titular document that would enable his safe passage to the Latin American country, Georg opts not to correct the official. But despite the efforts to save his own bacon, Georg is transfixed by Marie, the writer's wife (“Frantz's” Paula Beer), depicted as a haunted soul incessantly roaming the streets in search of her spouse. Georg also lends a helping hand to the deaf-mute wife of a resistance colleague and her son, and he gets to know Richard (Godehard Giese), the guilt-wracked doctor with whom Marie is shacking up. Despite the jarring disparity between its setting and the story it's telling, “Transit,” which walked away with the Critics Prize at this year's Miami Jewish Film Festival, sweeps you along in its portrait of lost souls stuck in suspended animation, the solution to their dilemmas just out of reach. And just when you think you know where it's headed, “Transit” begins to pull the rug from underneath your feet, first with minor details and then by placing dead ends where exit doors ought to be. “But, but, I thought I had it figured out,” you might think to yourself in dismay. Nope. Petzold takes his lovelorn and despairing characters into this fog where not everything is quite as it appears. But these road blocks are there for a reason: to make you feel these refugess' displacement, of being away from all they'd previously known, in an unfamiliar place where a turn of events doesn't necessarily follow cause-and-effect logic. “Transit” is not always an easy moviegoing experience, but Rogowski's disarming screen presence helps immeasurably to make it more accessible. Brooding yet affable, Franz is the ideal audience surrogate, his increasing desperation and befuddlement mirroring the viewers' own. Bearing a striking resemblance to Joaquin Phoenix, albeit lankier and milder, Rogowski uses his bird-like eyes and nasal voice to etch an indelible portrait of a man at a difficult crossroads. He delivers the kind of performance that's too often taken for granted, but in the morass of uncertainty that surrounds his character, he ensures that you continue to care. It's almost perverse how Petzold uses his precise framing and clipped editing rhythms to craft a film that leaves you with more questions than answers ... though he has the good sense to play the Talking Heads' “Road to Nowhere” during the end credits, an inspired needle drop. But there's no cathartic release like “Phoenix's” exquisite gut punch of an ending here, no climactic confrontation to trigger word-of-mouth repeat business. And that's okay. I saw “Transit” back in January, and it kept revolving around my head to such a degree that I felt compelled to see it again. It holds up, enervating ellipses and all. There's still time to take the plunge. 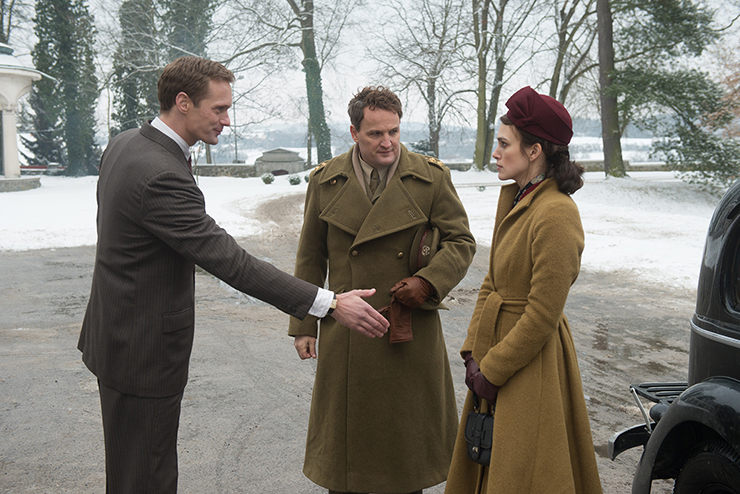 If you're in the mood for a more conventional but equally rewarding foray into war's emotional fallout, however, look no further than “The Aftermath,” a mature and thorny post-WWII romance that brings together Jason Clarke and Keira Knightley as Lewis and Rachael Morgan, a British colonel and his wife. The estranged couple, still reeling from devastating personal loss, sees their marriage, already hanging from a thread as it already is, put to the ultimate test after she joins him at the Hamburg house that they're taking over from its original owner, architect Stephen Lubert (hottie patottie Alexander Skarsgård), while Lewis takes on the taxing and time-consuming task of rebuilding the city. Lubert and his daughter Freda (Flora Thiemann) find themselves unwanted lodgers in what used to be their home, moving upstairs after Lewis allows them to stay on over Rachael's misgivings. But the evil German living under their roof turns out to be not so evil, after all. A gracious man, charming even, and as it turns out, a compassionate ear to which the grieving Englishwoman can express her anguish, and in turn can provide support to help Stephen cope with his own demons. It doesn't take an expert to predict what happens next, but “The Aftermath,” based on Rhidian Brook's 2014 novel, refuses to throw anyone under the bus. Rachael, Lewis and Stephen are complex and empathetic mourners, and even though there's nothing unexpected about the way this romantic triangle plays out, there's a welcome nuance, as well as a sexual frankness, that prevents the film from becoming a milquetoast costume drama. 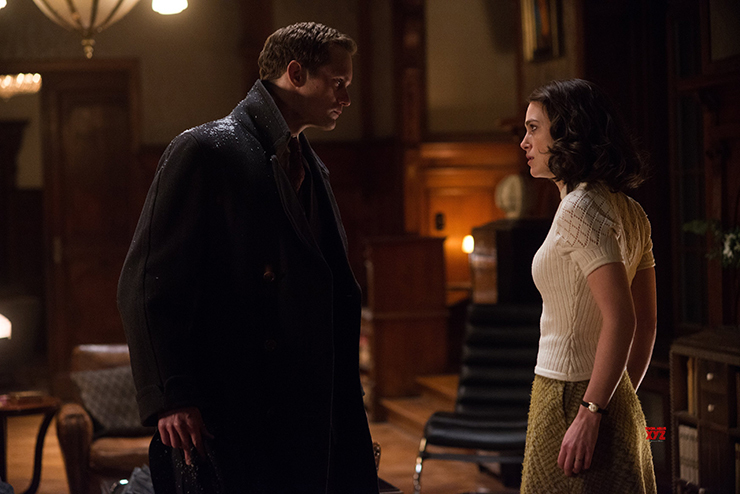 Less successful is a secondary storyline that has Freda befriending Albert (Jannik Schümann), a young ruffian with lingering Nazi sympathies. His character is intriguing and is not vilified, but the way this narrative strand is resolved feels threadbare and not fully developed. It stands as “The Aftermath's” afterthought. But working from a taut screenplay credited to Brook, Joe Shapnel and Anna Waterhouse, director James Kent (“Testament of Youth,” Starz's “The White Queen”) has nevertheless made a handsomely mounted tale of repressed pain, frowned-upon yearnings and the healing power of forgiveness. It's the kind of tea-and-crumpets fare where the gloves eventually come off, and is all the more satisfying for doling out so much tough love. 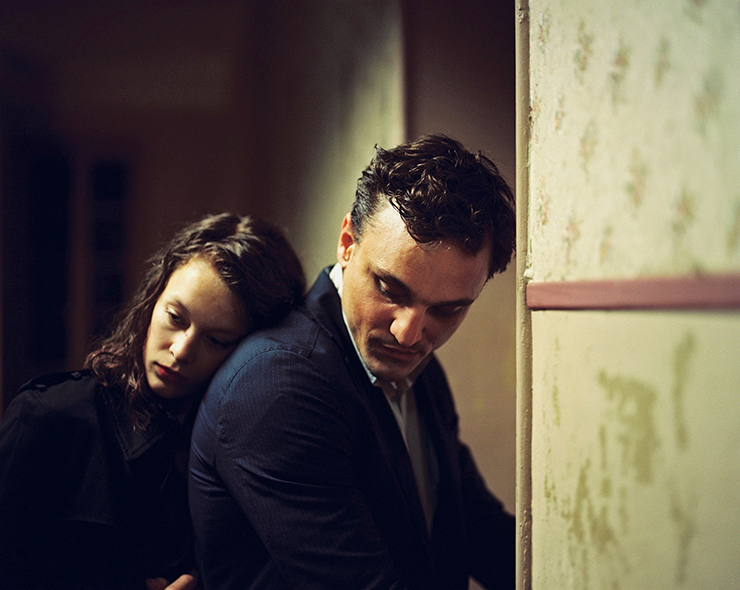 Christian Petzold's “Transit” is now playing at O Cinema Miami Beach and Living Room Theaters at Florida Atlantic University. “The Aftermath” is showing at AMC Aventura 24, the Classic Gateway Theatre in Fort Lauderdale and Cinemark Palace 20 in Boca Raton through April 18.